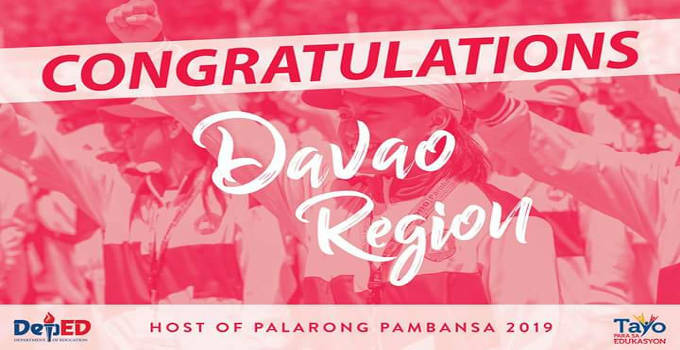 Palarong Pambansa 2019 will be hosted by the City of Davao. The Palarong Pambansa 2018 is presently being held in Vigan City in Ilocos Sur. The Palarong Pambansa 2018 started April 15 and will end April 21. The Palarong Pambansa 2017 was held in the Province of Antique. Antique is the 13th province to host the 60th Palarong Pambansa. Palarong Pambansa is a yearly event. It is a venue for talent identification, selection and recruitment of student athletes. It is where some of the best national athlete of the Philippines were discovered. It is The biggest and most spectacular sporting event for student-athletes in the entire Philippines. This years host, Vigan in Ilocos Sur, will have an economic and tourism benefits, since the province anticipates the arrival of almost 15,000 to 20,000 athletes, officials and other participants coming from the 18 regions of the country. The President of the Philippines is expected to attend the opening program. Aside from the President, prominent sports personalities are also expected to attend the opening program. Aero gymnastics – will be a demonstration event. Will NCR, the perennial Palarong Pambansa champion succeed in defending its title?